Libby Barnes is a designer who several years ago moved west to Denver, Colorado with her husband and 4 children and the task of starting her design business over. 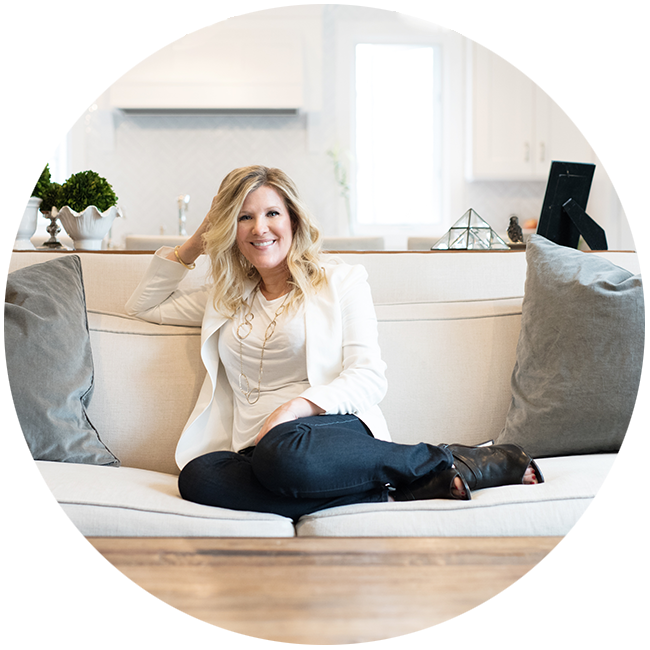 Libby has extensive experience with gutting and remodeling homes and when she arrived in Denver that is exactly what she did bringing her style to their new space. This initial project helped to establish Libby among local contractors and trades people. Word spread and her success has grown quickly with clients both in Colorado and across the country. Libby is known for her ability to curate spaces that are stylish yet approachable. She has a family and understands the need and want to have both. Libby’s years of experience of being a very hands on designer helps her to know how to achieve this end desired result. Most recently Libby’s unique design approach and her carpentry skills has lead to an opportunity of starring in a pilot for her own show on HGTV called Saving Spaces. On Saving Spaces she works with her goto contractor Mike and together they create the most amazing spaces that every member of the family will love. Every home has those areas that don’t have a clear purpose, that is until Libby comes in and maximizes every inch! Libby Barnes specializes in thinking outside the box to turn that unused space into the most special place in your home. You can view a preview of the pilot of Saving Spaces here.